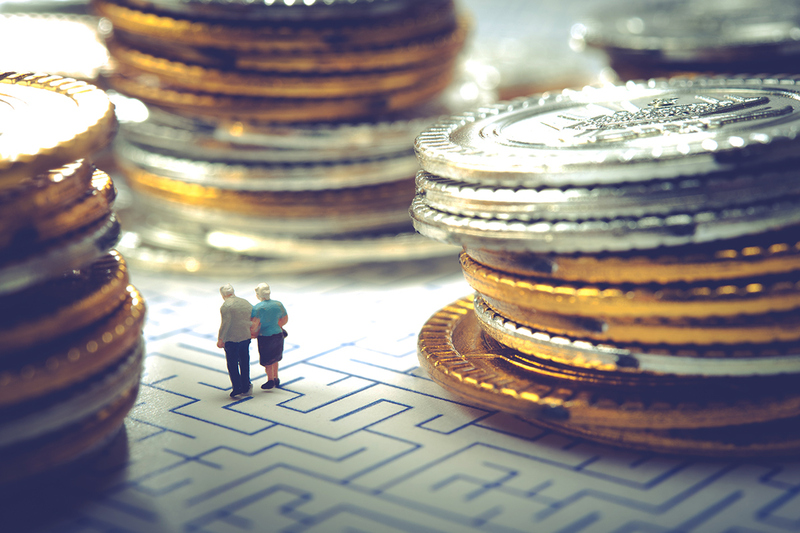 Society of Certified Senior Advisors: Are Your Investments Suitable, or in Your Best Interest – or Both? Are Your Investments Suitable, or in Your Best Interest – or Both? Kim is interviewing financial advisors to invest her inheritance. One candidate with several financial credentials assures Kim she will recommend only investments that are suitable for her. Will these recommendations also be in Kim’s best interest? An investment may be suitable but not necessarily in a client’s best interests. Many investors are confused by the different standards of care that apply to Investment Advisers and Brokers, and many do not even know which type of investment professional the person with whom they are doing business is. Investors believe their financial adviser, be the title “broker” or “investment adviser,” is acting in their best interest (Peiffer, Lazaro, 2015). Adding to investor confusion, brokers often have job titles such as wealth manager, wealth advisor, asset manager, financial consultant, financial advisor or investment consultant. A fiduciary relationship is generally viewed as the highest standard of customer care available under law. Fiduciary duty includes both a duty of care and a duty of loyalty . . . these duties require a fiduciary to act in the best interest of the customer, and to provide full and fair disclosure of material facts and conflicts of interest. Registered investment advisors and their representatives are required to be fiduciaries by the Investment Advisers Act of 1940. Certain financial designations also require fiduciary responsibilities, including Certified Financial Planner®, Chartered Financial Analyst, Certified Public Accountant/Personal Financial Specialist and membership in the National Association of Personal Financial Advisors. Brokers do not have a fiduciary duty under the Investment Advisers Act of 1940 because their advice is considered incidental to the sale of stock. Brokers are required to recommend what is suitable for their clients by the Securities Exchange Act of 1934, state laws and regulations, and Financial Industry Regulatory Authority (FINRA) rules (Peiffer, Lazaro, 2015). The suitability of an investment is based on the client’s investment profile—a combination of unique characteristics including age, income and net worth, risk tolerance, investment objectives, time horizon, financial expertise, and other security holdings. Suitability does not require the client’s best interest or prohibit conflicts of interest (Sobolewski, 2012). Also, advisors and brokers who are employees of a brokerage firm must use their firm’s proprietary product list to recommend suitable investments for their clients. Investors could go to different financial professionals and have different products from which to choose. When financial professionals serve as both advisor and broker, they can legally switch between fiduciary and suitability standards, depending on the product or service. This will change January 1, 2018 when the US Department of Labor’s 2016 Fiduciary Rule is fully implemented. Starting then, those who both provide financial advice and carry out recommendations for brokerage and insurance transactions that involve IRAs or tax-qualified retirement plans such as a 401(k) will have to meet fiduciary duty when doing the transactions, as well as when providing financial advice (Shaw, 2016). Carson, Brett (March 2015). U.S. News & World Report: Investing. "Is Your Financial Advisor a Fiduciary?" Certified Financial Planner Board of Standards (2016). "Consumer Outreach." FINRA Securities Helpline for Seniors. Call 844-57-HELPS (844-574-3577) Monday – Friday, 9 a.m. – 5 p.m. Eastern Time. National Association of Personal Financial Advisors. US Department of Labor (2016). "Are Your Retirement Savings at Risk?" US Securities and Exchange Commission (August 2012). "Investment Advisers: What You Need to Know Before Choosing One." Are you obligated to act under a fiduciary standard, and can you please spell out, in writing, the fiduciary responsibilities to which you must adhere? Which licenses and designations do you have, and which of those do and do not include a fiduciary standard? Are you willing to fully disclose all potential conflicts of interest, as well as the compensation you may receive as a result of products you recommend, and your rationale for recommending them? If you do not hold a license or designation that carries a fiduciary responsibility, have you chosen to adhere to a fiduciary standard anyway, and if so, can you please describe, in writing, the fiduciary responsibilities to which you have chosen to adhere? In Kim’s scenario, if the candidate follows both suitability and fiduciary standards, her recommendations should be in Kim’s best interest. Kim can ask questions and do due diligence on all the candidates, compare what she learns with her investment goals and preferences, and then select the one she thinks can best help her invest her inheritance. Securities and Exchange Commission (SEC 2014). “Suitability,” Securities Industry and Financial Markets Association (SIFMA 2013). Fiduciary. Sobolewski, Tim (September 2012). “Who Is a Fiduciary? Fiduciary vs. Suitability: Which Standard Is Best?” The Safer Retirement Advisor.